Sparkle your beauty with this captivating grey colored festive wear silk saree. 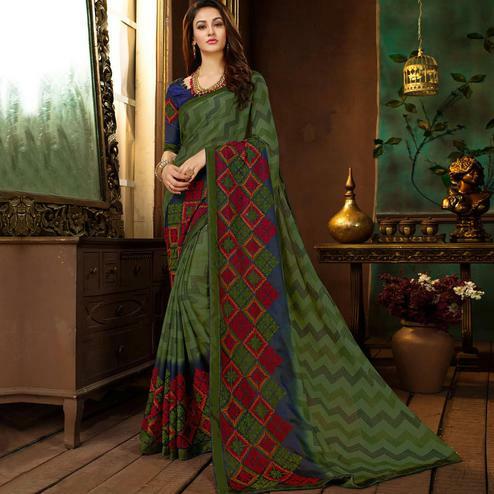 This saree has a perfect balance of woven designs and colors. The saree comes with an unstitched matching silk fabric blouse, which can be stitched as per your style & requirement. 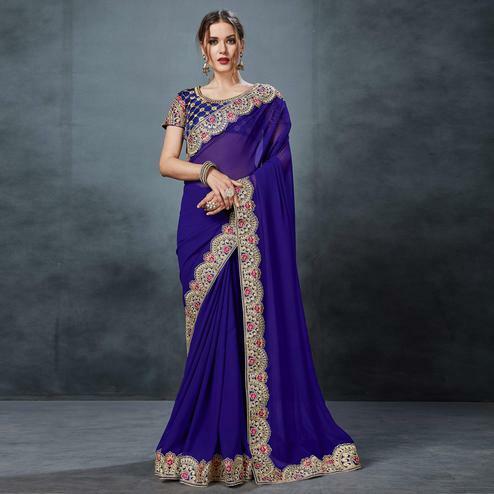 The saree is a perfect choice for a day time or an evening wear outfit. You can wear this at social gatherings,family functions,festivals,occasions and even weddings. Pair this saree with a golden necklace or earrings and your look is perfect for the day. Buy this saree and earn lots of compliments from onlookers.